Boston Globe Subscribers, have you turned in your GRANT Voucher? Boston Globe is offering free advertising space to a nonprofit of readers choice. Look for your silver envelope in the mail and nominate GWL! Don't forget to mail them back by March 1st! It's hard to picture...early leafy spring greens, soft soil, seeds sprouting but, its true, spring is on the horizon! Here at Groundwork we are getting ready to kick off the gardening season and are hungry for some fresh from the garden veggies. Check out some of the ways we are integrating local, fresh foods into Lawrence and how you can be a part of the movement. 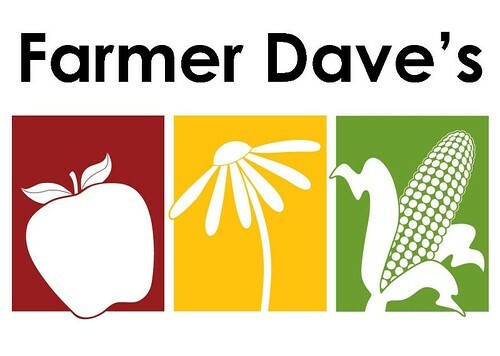 Farmer Dave's CSA makes it easy to enjoy locally grown, farm-fresh produce every week - hand-picked, packed and delivered to a central location for your convenience. The spring share starts March 3rd so learn more about how you can participate! Groundwork Share-a-Share™ donations are used to subsidize the cost of fresh food through subsidized CSA shares, incentive programs for our Farmers Markets, Fruit and Vegetable Prescriptions (FVRx), and fresh food donations to food pantries. You can make a tax-deductible donation to help us extend the benefits of locally-grown food to those who would otherwise not be able to afford it. Please, learn more and donate today. This month we kick off our Community Gardener Workshop Series for our 350+ network of community gardeners. This series of five workshops will empower community gardeners to be coordinators and stewards of their community gardens and train members in agricultural skills. 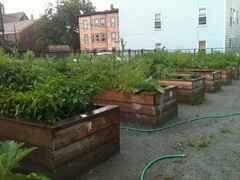 Learn more about our community gardens and the workshops! Farmers markets are an easy way to access fresh, local, healthy foods and reconnect with your farmer. Come check out our farmers market at one of three locations this upcoming season. This year we are introducing a third farmers market location at Holy Family Hospital in Methuen, MA! Groundwork Lawrence is greatly honored to have been chosen by the National Park Service for the Department of Interior's 2013 Partners in Conservation award, which recognizes Groundwork USA's outstanding contribution to conservation nationwide through community engagement and cooperation with local, state and federal partners. Working Cities Challenge award, $700,000, to the Lawre nce Community Works team, the Lawrence Public Schools (LPS) and a coalition of public and private sector partners. The award recognizes the innovative Lawrence Working Families Initiative (LWFI) which pairs LPS and community partners to better engage Lawrence families in the Schools Turnaround plan and address the connection between families' economic challenges and student success.